Buy Chocolate coating machine - Shandong Leader Machinery Co.,ltd. 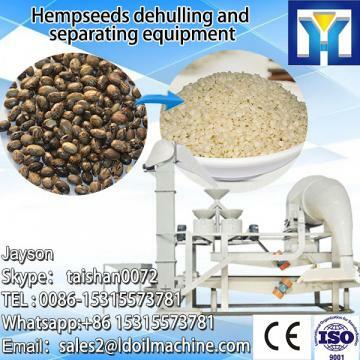 This machine is mainly suitable for pharmaceutical industry in pills, tablets of sugar production, can also be used in food, light industry, chemical industry, the spherical or rolled granular material, mixing and polishing.For example: chocolate on polishing, peanuts, sugar, spices, making dumplings, pearl powder round, rolled desiccant, production of chemical packing, aluminum hydroxide, alumina ball, ceramic ball molecular sieve, catalyst and so on. This machine consists of fuselage, worm gear box body, sugar pot, heating device, fan, the main parts such as electric equipment, it by the motor through v-belt drive worm gear and worm, turns the sugar pot, under the action of centrifugal force, the material up and down in the pot for friction, to mix icing, pelletizing and lighting effects. For the whole Chocolate coating machine,warranty is 12 months,within 12 months,if have equipment quality problems,we will provide accessories freely. After the expiration of the warranty period,if have spare parts problem,we only receive the cost of required replacement parts.We commit we will provide free technical support of equipment all whole life. Our company has engaged in producing and exporting Chocolate coating machine for many years, and until now, our machine has exported to overseas market, such as Brazil, India, Indonesia, Russia, Thailand and so on, and get the foreign customers' unanimous praise. We believe that you purchase Shandong Leader Machinery Co.,ltd. Chocolate coating machine is your best and sensible choice.